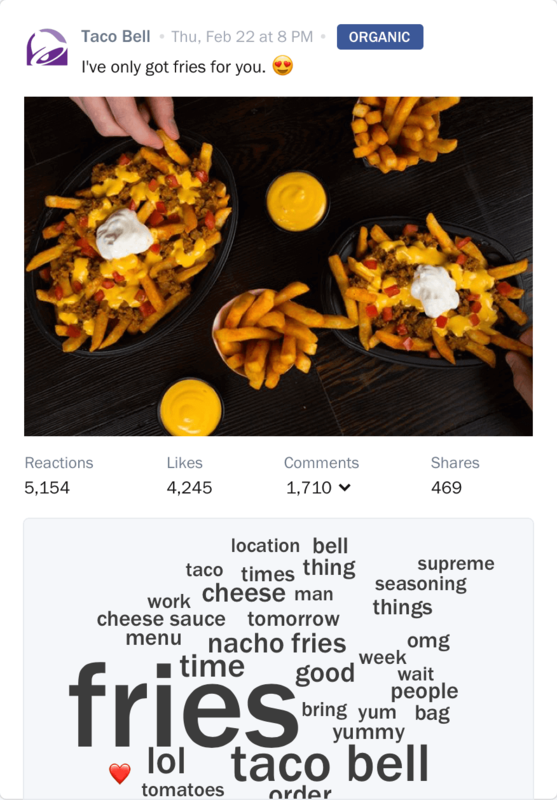 Estimate the reach and impressions of Instagrambrand posts. 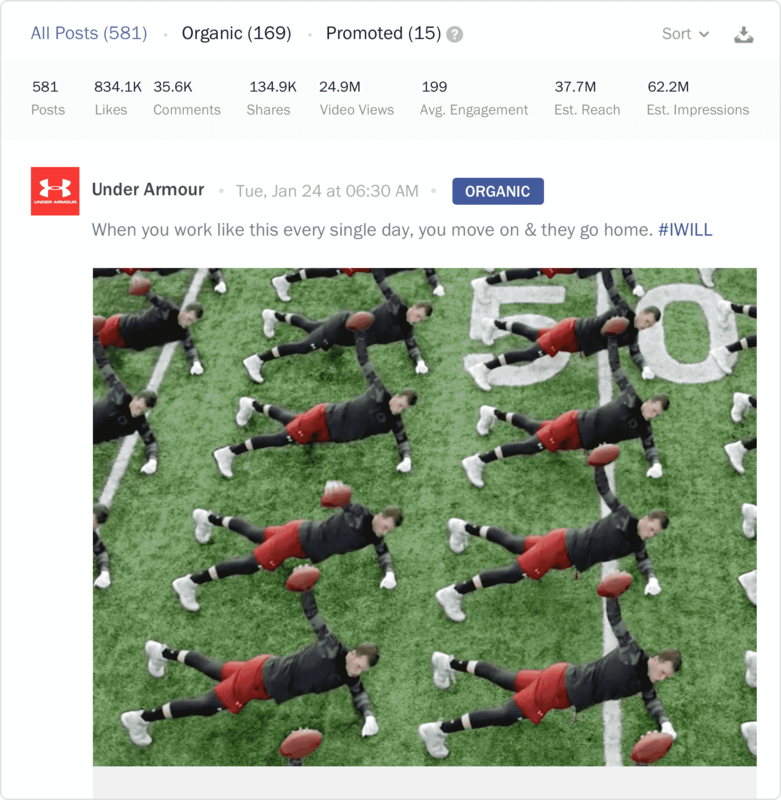 Find out how much Reach your competitors' posts are getting on Instagram and benchmark it against your own efforts. Additionally, track the Reach of your influencers to understand the impact of your Instagram influencer marketing strategy. “Unmetric is a platform that has the reliability of a Honda Civic, the engine of a Bugatti Veyron and the beautiful looks of a Ferrari. Analyze provides data-backed reach and impressions estimates. Not only does it help you benchmark your performance, it gives you a solid indication about which posts are promoted or boosted - insights that can set you apart. “What separates Unmetric Analyze from many others, however, is the pre written ‘insights’ and ‘highlights’ attached to most graphs, which auto-magically find significant outliers and display them in plain English. No one competes in a vacuum.You need to be able to answer with confidence: Am I doing well? Analyze gives you confidence with your answer. And the certainty for next steps. “Unmetric is an ace in the hole for understanding the competitive landscape, and measuring impact. With Analyze you don’t have to do the tedious work of downloading hundreds of comments from a Facebook post, manually tagging each comment, gauging reactions or creating a summary.Unmetric is the only platform that immediately filters main themes and topics of user comments. It also shows you the driving campaigns, themes and topics of a brand without reading every post. See how Analyze can help with your social and engagement strategy. With Analyze there’s no more endless scrolling for data you’re not really sure you need. Book a demo, and we’ll walk you through how you can take the guesswork out of your social analytics. Reporting doesn’t have to be hard. Or agonizing. But it is necessary, so we’ve made it easy for you. No more pulling data from multiple sources, creating charts and then collating it into an Excel sheet or PowerPoint deck. Unmetric does it for you automatically and will even deliver it to your inbox. “The ease and speed at which our strategists and analysts are able to pull data is beyond any other social analytics tool we’ve used. Choose from PowerPoint, Excel or CSV formats for your reports and pull an in-depth performance as far back as 2012. We’ll show you which of your competitors are getting more interactions in comparison to the volume of content. “Unmetric's reporting capabilities make it easier for us to share audience and campaign insights with our clients. Benchmarking gives context to your data and helps make sense of where you stand in your industry. Within Unmetric Analyze you’ll be able to access benchmarks for multiple metrics. 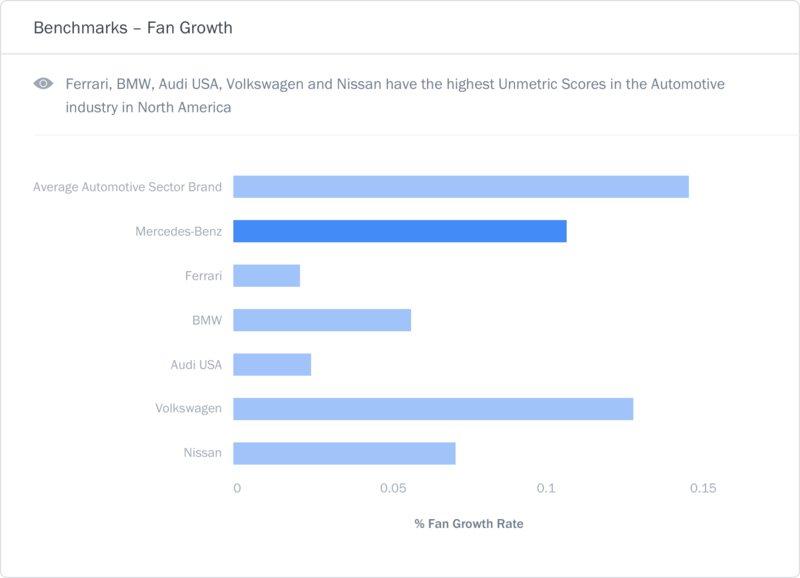 “Unmetric has great detail in its benchmarking data. Xia, our AI, will help identify the leaders in your industry and show what they did right. 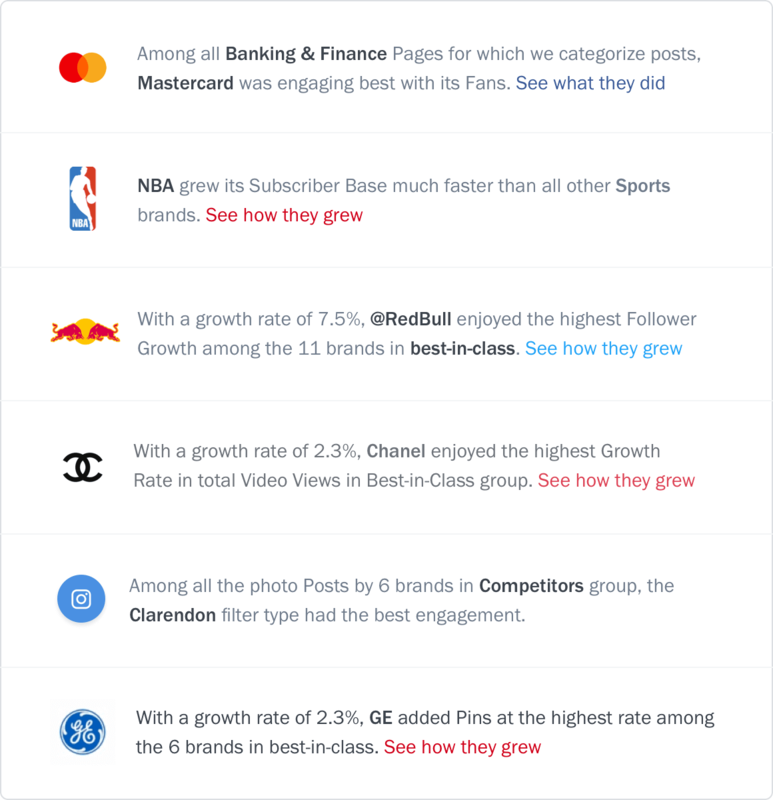 You can even access insights on top content, hashtags, and influencers. See how Analyze can help reshape your social media efforts. Are they running more campaigns than your brand? Do they reply faster to complaints? Unmetric Analyze and Xia, our AI, will give you the inside scoop on what competitors are doing. See what worked and what didn’t. Find all your data and metrics in one place. We’ll help you quantitatively evaluate strategy. Our automated reporting feature will reduce the time spent on manually compiling data. With a single click, you’ll be ready for the next social media performance review meeting. Go further and monitor more than just your competitors. Find out who in your industry is doing better than the rest and see what content gets best engagement. Flexible plans for brands and agencies. No Audience size restrictions. Unlimited users. Along with Xia, our AI, a team of human analysts go through thousands of brand posts to give data a qualitative edge. Feed Unmetric’s competitive intelligence into your in-house tools or dashboards with our API. We’ll make you comfortable with the platform and ensure your business goals are met. Get years of historical data for over 100,000 brands and learn from what worked in the past. Plug in your own Facebook Insights, and Instagram Insights into Unmetric Analyze and access all your data in one place. We partner with leading marketing products to ensure all your social media efforts are streamlined. Our most significant differentiator is you get access to 6 years of historical data. Our customers tell us they’ve been able to create more engaging content because of it. Before getting access they were spinning their wheels, wondering why certain campaigns or content pieces were falling flat compared to previous years. But with the data gleaned from Analyze they were able to see specific events that impacted performance. Once they pulled this data they were able to adjust course and get even more engagement. How are you different from a listening platform? Why do I need your product in addition to the other marketing apps that I buy? How can I use Unmetric to create more engaging content, better campaigns and better content? How are different members of my team supposed to use Unmetric? Book your 20-minute demo with an Unmetric team member now. Email us at team@unmetric.com for customized pricing.